Comune di Paduli in provincia di Benevento, Campania. Destemming and soft crashing of berries. Alcoholic fermentation and skin maceration for 15 days at 22/23 °C in stainless steel tank. Malo-lactic fermentation at 20/21°C in stainless steel tank. Ageing in French oak barriques for 12 months on yeast lees. Bottle refining for 6 months. Ruby red Color, with purple reflections. It proposes to smell a rich bouquet of intense complex and persistent perfumes characterized by delicate fruity and spicedflavours, with notes of cherry, strawberry, wild cherry in syrup, violet, plum, pepper, cinnamon, cloves, tobacco, carob and rosemary. An important tannins contentgives structure, full-bodied, density and persistence on the palate. This wine of thanks to its structure, complexity and texture, lends to combinations with pasta & strong tomato sauce based, grilled meats, game, dishes duck based or pheasant, venison or wild boar. 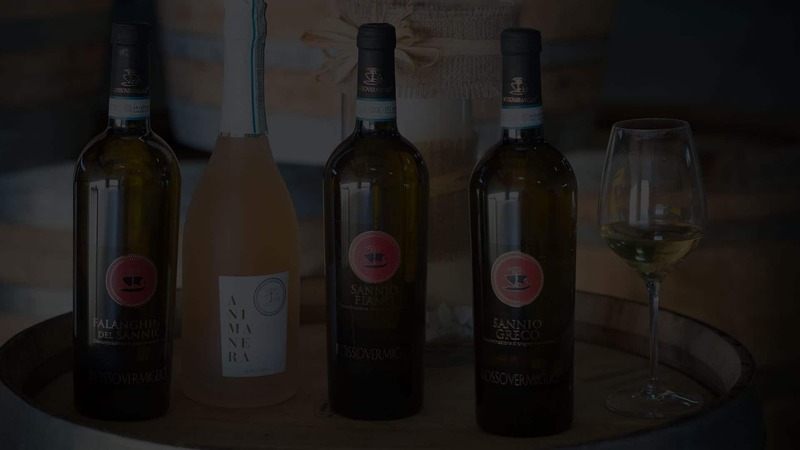 Buying the wines of the Sannio DOC Rossovermiglio online is easy and convenient. You can buy securely by credit card, PayPal, or bank transfer.